Silicones are very stable under the influence of temperature and weather. This makes silicone an ideal sealing and potting material for electronics and optical elements. Silicones naturally have a high volume resistivity and a dielectric constant of around 3 at 1 kHz. With fillers, silicones can be made conductive for electricity and / or heat. Due to the low or no shrinkage and the absence of bleeding by products we usually recommend the use of addition-curing silicones. If a project should be cheap however condensation curing silicones are possible too. A silicone gel is mostly used in electronic devices where after the encapsulation some elements should remain measurable or in projects with highly sensible equipment. Almost all addition curing silicones may be used for potting or encapsulating electronics. 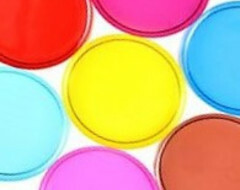 Silicones may be colored with appropriate dyes. Silicones attach to almost nothing when the surface is smooth. If adhesion is desired please degrease (with thinner) and if possible roughen the surface and use a primer to promote adhesion. Silicone Addition Gel 840 Water Clear €25,50 This silicone gel is extremely suitable for potting and encapsulating of electronics and optical elements that require to be periodically measured after potting. New Silicone Addition Clear 0 Supersoft Set €39,95 Silicone Addition Clear 0 Supersoft Set is a two component addition curing silicone set that will result in a water clear silicone rubber with very low hardness. Silicone glass effect €24,20 Silicone glass effect the safe way to mimic broken glass.